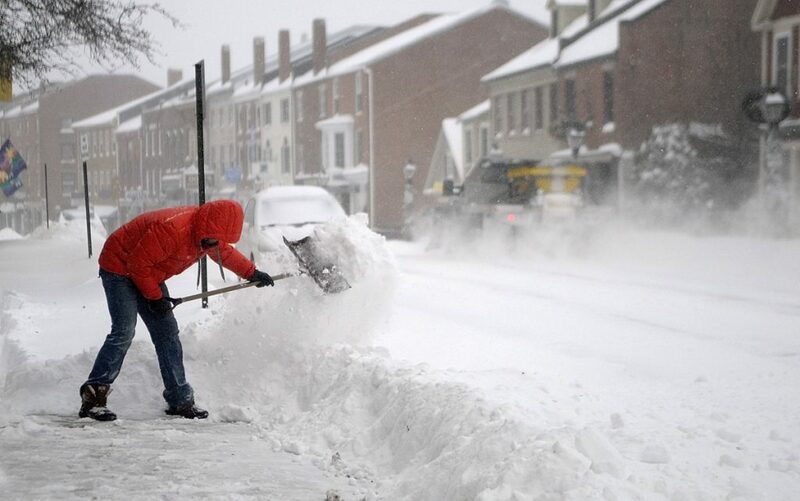 City officials are conducting public hearings about marijuana and snow shoveling regulations. HALLOWELL — Commercial marijuana operations could begin growing soon in Hallowell, as councilors prepare to approve an ordinance regulating the businesses. A final reading of the ordinance is scheduled to take place at Tuesday night’s City Council meeting after a public hearing on the legislation. Since councilors last publicly discussed the proposed ordinance, more areas have been exempted from the regulations’ setback standards, which would prohibit commercial cannabis facilities from being located within 1,000 feet of private or public schools, or public recreation facilities. The new areas exempted from that restriction would include Granite City Park, Vaughan Field and a small park at the corner of Second and Union streets. Another amendment to the proposal after the last reading is a license claw-back that would allow the city to revoke a license if the licensee does not commence operation within 90 days. The code enforcement officer would be authorized to issue one extension of up to 180 days if “substantial progress” is being made toward operation. This change was suggested by councilors before the second reading was approved last month because of worries that someone could obtain a license and not open a storefront. The proposed marijuana ordinance contains zoning and licensing procedure for the entire city. The only area of the city that would have a limit on the number of licenses is downtown, where only two would be permitted to be issued. Only one of the city’s two existing medical marijuana establishments is located downtown, and that owner has indicated an interest in a commercial license. Two other downtown storefront owners are interested in licenses as well, however, so the downtown limit means one interested party will be left without one. There is still no statewide procedure for granting licenses. Hallowell’s draft licensing ordinance says the operator of any establishment also must have a state-issued license. A second public hearing, regarding the city’s proposed snow removal ordinance, also is scheduled for Tuesday night. 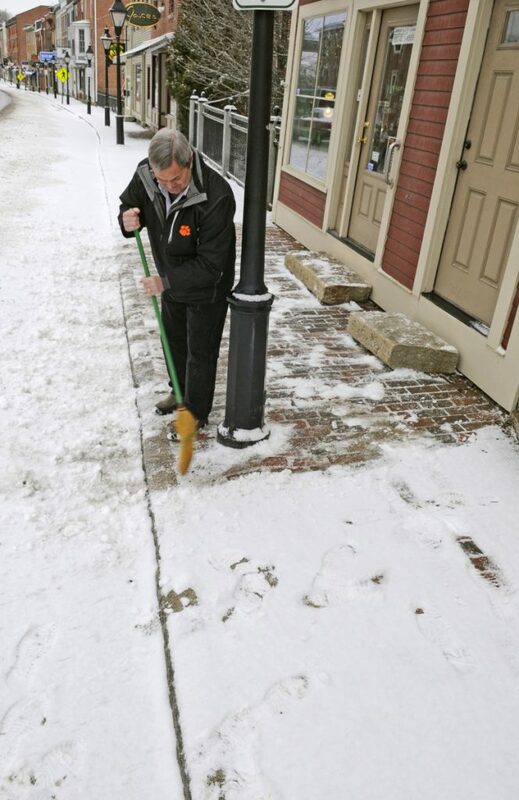 The snow removal draft, rolled out last month, would order downtown-area “commercial property owners” to keep the length and width of the sidewalk in front of their business clear after snowfall. The snow could be piled by the curb and the city would remove it from there. The change aimed to help make sidewalks safer for business patrons. Another impetus for the change was the varying width of new sidewalks downtown as part of the reconstruction project. City Manager Nate Rudy said last month that the city’s plow could be too wide to remove snow in the narrower sections of sidewalk. The draft ordinance underwent two changes between the first reading and the upcoming second reading. Amendments call for excluding privately owned portions of Front Street and enforcing a $250 fine for all violations of the ordinance. The other roadways mentioned in the ordinance are the entire length of Temple Street and Perley’s Lane, and downtown portions of Water, Academy, Union, Central and Second streets. A third and final reading is scheduled for a proposed sidewalk art and busking ordinance, which has been described as an invitation for street performers. That proposal did not undergo any substantial edits between the second and third readings. The latest change would bar fire-related performances and blacksmithing from downtown. A proposed overhaul of the city’s sign ordinance will get a first look from councilors. The current section of city code would be removed and replaced with an ordinance making the guidelines clearer. The biggest change would be regulating the size of political signs on public land. Planning Board Vice Chairperson Judy Feinstein said members recommended some changes for the square footage of political signs in the public right of way, noting that large ones could block a driver’s view of the road. Chairperson Danielle Obery said the board discussed the change after some particularly large signs showed up during this year’s election cycle. Political signs have been limited to 6 square feet in the draft ordinance. Most political signs are 3 feet wide by 2 feet tall. The second reading of a proposed ordinance change that would change fees for copies of records and documents at City Hall is also on the agenda for Tuesday. Other business includes City Council subcommittee reports and the expected appointment of Richard Seymour as deputy code enforcement officer. The meeting is at 6 p.m. in Council Chambers at City Hall.